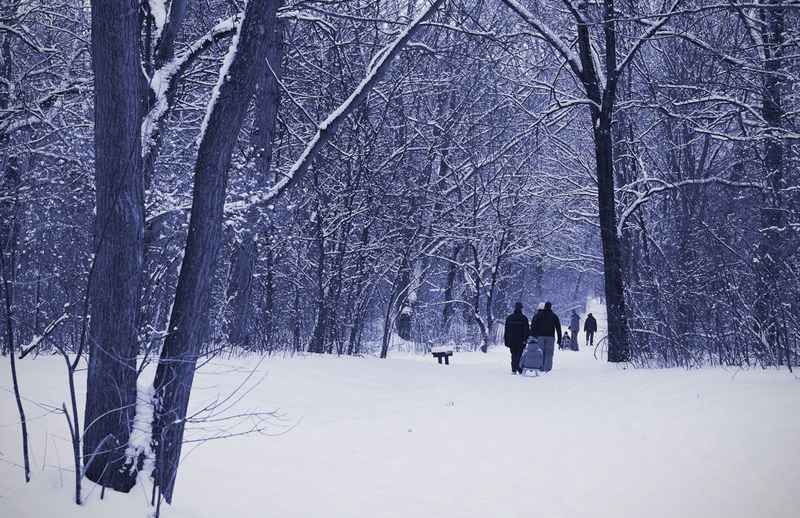 Seasonal affective disorder (SAD) or seasonal depression (winter blues) can be a mild or serious disorder that affects millions of people every year. Even if you haven't been diagnosed with the disorder, you still may experience several of the symptoms including fatigue, depression, and withdrawal from others during the winter months. And with only a few hours, if any, of sunshine everyday and cold weather pushing everyone inside, it's no wonder the wintertime blahs are a common sentiment. Kids thrive on lots of active outdoor playtime, so they really experience the changes in the seasons and can remind us a bit of caged animals when they haven't gotten enough activity. We've come up with seven ways to help the whole family beat the wintertime blues by bringing some of our favorite parts of summer right to you, including playing in the sand, drinking tropical beverages, getting your fingers in the dirt, and supplementing your health. Hopefully, these methods will get you out of the frigid funk of wintertime and able to focus on fun, mood-boosting activities. Note: please seek the help of a physician or therapist if you or a family member is suffering from depression. 1. Bring the beach to you. Despite sand’s tendency to get into all sorts of nooks and crannies, sand is a relaxing and therapeutic medium for kids to play with. 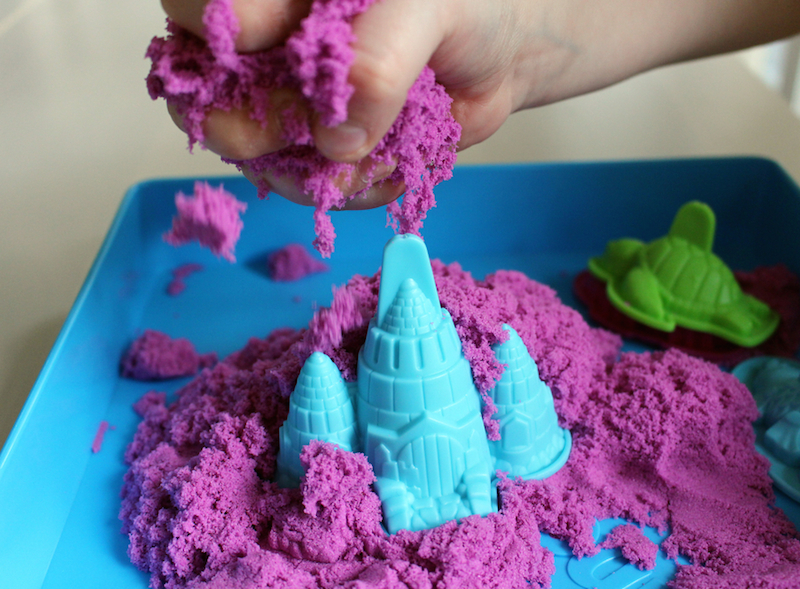 Kinetic sand kits and hybrid sand-playdoh mixtures have gained in popularity over the past few years for providing the fun of sand play without all the mess. If you don’t mind a few (thousand) grains here and there, you could bring the sandbox indoors by using that blow up pool you probably have stored in the basement for next summer and adding real sand (available at toy and home improvement stores). Kids will play for hours if you provide some simple accessories such as shovels, cups, or scoopers. You can also try larger grain rice instead of sand — dyeing the rice makes for an even more colorful variation! During the warmer months, we walk more to the pool, the beach, the farmer’s market, the playground, even taking longer strolls with our pets and children after dinner. When it’s cold and dark, we often cuddle up and hunker down, choosing reading books by the fire with cups of cocoa by our side. Try and capture some of that summertime fitness mentality and keep it moving. Yoga is great for every age, whether doing a calmer, more meditative stretching routine or a sweat-inducing power yoga session. During the winter, when the weather shelves running for many people, add dance DVDs and home-based weight training. With the abundance of Youtube videos available on virtually every type of exercise, there’s no excuse not to spend a short period each day getting your body going. 3. Indulge in water therapy. Vacationers spend mucho dinero in exotic locales around the world indulging in aquatic therapies. You can make your own family’s spa experience a satisfying and home-grown one. Fill up the tub and add a few relaxing drops of lavender essential oils and maybe some soothing salts and soak. Make a simple sugar scrub and use before pedicures. 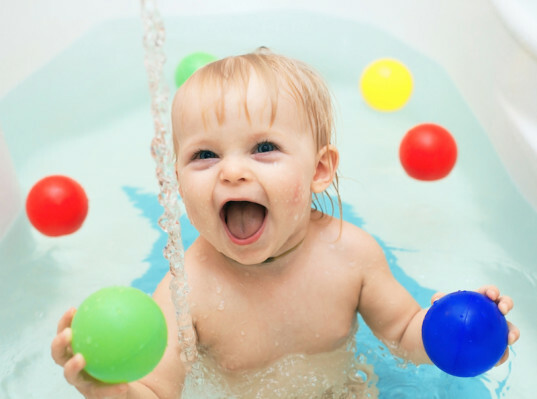 Of course, younger kids aren’t really into the whole “sitting still for long periods of time and relaxing” thing, but they can still benefit from the therapeutic value of water play: let kids use fingerpaints on bathtubs or shower stalls and then hose everyone off, use squirters to move rubber duckies in a duck water race, create water sensory bins, or make rainbow bubbles. Or just let little ones get out their energy by splashing around. No offense to apples, pears, and cranberries, but wintertime often has us craving some decidedly unseasonal flavors. Buying organic frozen fruit (or remembering to buy fruit when it is in season and freezing it yourself) is a great way to incorporate these flavor favorites in your diet despite the time of year. Make a tropical smoothie with frozen chunks of banana, pineapple, papaya, mango or other preferred fruit. Add in some coconut milk for a creamy base or use coconut water or another type of non-dairy milk. Squeeze in some lemon or lime for Vitamin C. Citrus fruits are actually in season in many places during the winter. You can’t help feeling a little sunnier after snacking on some adorable clementines. 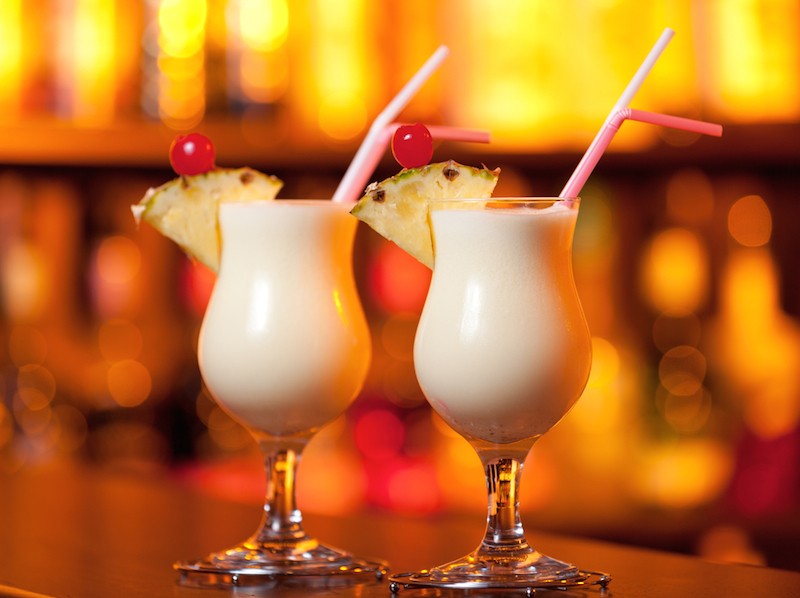 Make a batch of virgin pina coladas and serve them in fun glasses with straws and umbrellas to give the family a little tropical staycation. 5. Get in the (indoor) garden. We know the ground outside may be frozen, but the benefits of being close to greenery have been shown in multiple studies, including several that show that the microbes in soil may help ward off depression. If you get a lot of light and have window space, create a windowsill herb garden. The herbs will help flavor your food as well as give your family a glimpse of cheery green throughout the day. Flowers are another irresistible, happy-making reminder of life and hope, and some actually can be grown all year indoors. Paperwhites, for example, are easy to grow and look especially festive. 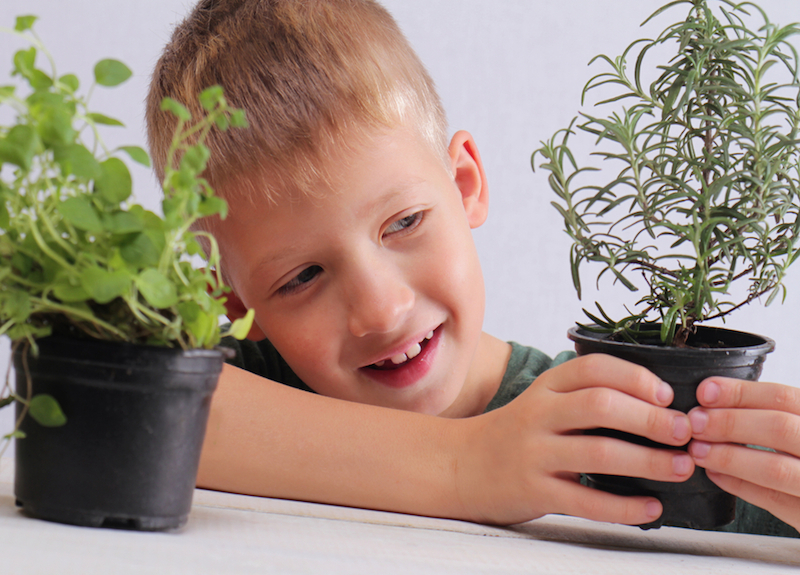 You could also get a mini lemon tree for an aromatic mood-booster or create an easy-to-maintain terrarium. If you are fortunate enough to live where it’s warm enough to plant something outside, take advantage: greens do especially well in chilly weather. 6. Supplement your Vitamin D.
It would be great if simply walking the dog or playing outside supplied you with all the necessary Vitamin D. If you live only south of an imagined line drawn from Los Angeles to Columbia, S.C., you may be able to get enough sunlight for Vitamin D production throughout the year, but for the rest of us, it’s simply not possible to get all you need during winter months, and this Vitamin D deficit is believed to be linked to depression. And trust us, your body uses Vitamin D for a variety of other health needs including immunity, bone growth and inflammation reduction. Many of the foods containing Vitamin D are not vegetarian or vegan (one exception is certain types of mushrooms), so taking a supplement may be your safest bet for getting a sustained Vitamin D supply. Other options include fortified soy milks, cereals, and orange juice. Check with your doctor or trusted medical professional for supplement recommendations. He or she may first test your Vitamin D levels to see how much/if supplementation is needed. Getting natural light is a no-brainer fix that makes a huge impact. If possible, arrange your desk so it is near a window or spend your lunch break outside. 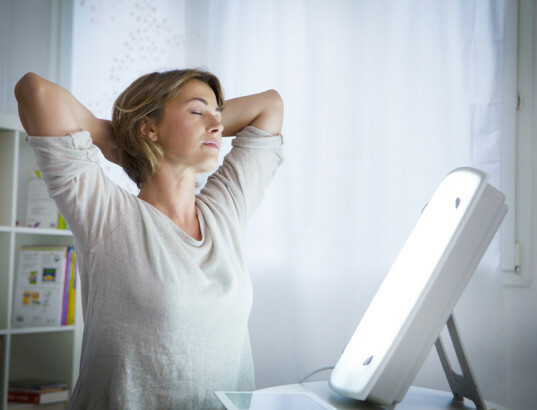 Some people need a more powerful and consistent source of light by way of a sun lamp or light therapy, especially if you live in an area where the weather is truly treacherous for weeks or months at a time. Sun lamp users swear they boost mood and even help fend off mid-day, post-lunch fatigue. People who are sensitive to light and/or are on certain medications that interact with light rays should consult their physician before investing in these lights. Image © Daina Varpina via Shutterstock 1. Bring the beach to you. Despite sand’s tendency to get into all sorts of nooks and crannies, sand is a relaxing and therapeutic medium for kids to play with. Kinetic sand kits and hybrid sand-playdoh mixtures have gained in popularity over the past few years for providing the fun of sand play without all the mess. If you don’t mind a few (thousand) grains here and there, you could bring the sandbox indoors by using that blow up pool you probably have stored in the basement for next summer and adding real sand (available at toy and home improvement stores). Kids will play for hours if you provide some simple accessories such as shovels, cups, or scoopers. You can also try larger grain rice instead of sand -- dyeing the rice makes for an even more colorful variation! Image via Shutterstock 2. Keep it moving. Image via Shutterstock 3. Indulge in water therapy. Vacationers spend mucho dinero in exotic locales around the world indulging in aquatic therapies. You can smake your own family’s spa experience a satisfying and home-grown one. Fill up the tub and add a few relaxing drops of lavender essential oils and maybe some soothing salts and soak. Make a simple sugar scrub and use before pedicures. Of course, younger kids aren't really into the whole "sitting still for long periods of time and relaxing" thing, but they can still benefit from the therapeutic value of water play: let kids use fingerpaints on bathtubs or shower stalls and then hose everyone off, use squirters to move rubber duckies in a duck water race, create water sensory bins, or make rainbow bubbles. Or just let little ones get out their energy by splashing around. Image © Ivan Mateev via Shutterstock 4. Taste the tropics. Image via Shutterstock 5. Get in the (indoor) garden. Image © SK Design via Shutterstock 6. Supplement your Vitamin D.
It would be great if simply walking the dog or playing outside supplied you with all the necessary Vitamin D. If you live only south of an imagined line drawn from Los Angeles to Columbia, S.C., you may be able to get enough sunlight for Vitamin D production throughout the year, but for the rest of us, it's simply not possible to get all you need during winter months, and this Vitamin D deficit is believed to be linked to depression. And trust us, your body uses Vitamin D for a variety of other health needs including immunity, bone growth and inflammation reduction. Many of the foods containing Vitamin D are not vegetarian or vegan (one exception is certain types of mushrooms), so taking a supplement may be your safest bet for getting a sustained Vitamin D supply. Other options include fortified soy milks, cereals, and orange juice. Check with your doctor or trusted medical professional for supplement recommendations. 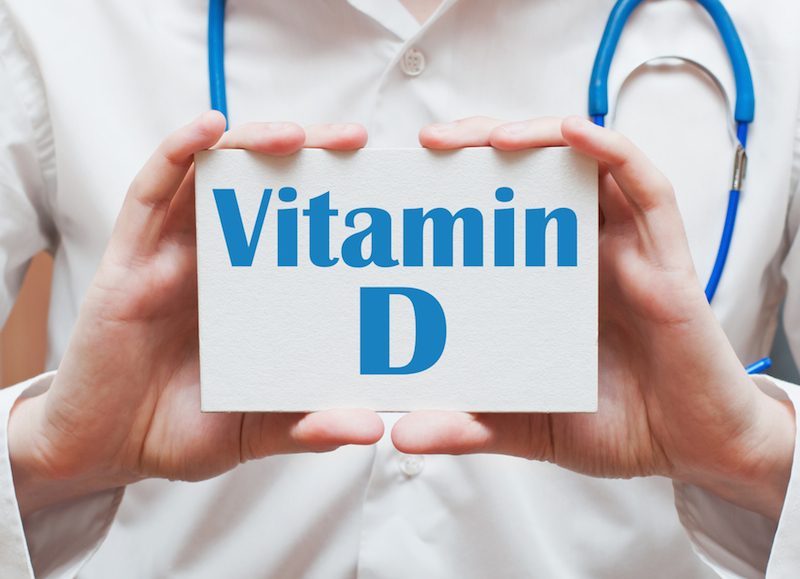 He or she may first test your Vitamin D levels to see how much/if supplementation is needed. Image via Shutterstock 7. Get some light.